In my previous post, Neither did I speak much about ‘Dikkatra Parvathi’, the damsel in distress, nor did I speak about ‘Copyright Law’. Infact, I spoke nothing about Copyright Law, at all. What is the function of Copyright? Why do we have an Intellectual Property Regime in place accepted by Law and followed by all Law abiding nations ? The function of Copyright Law provides the creator a series of rights, by which the Copyright Holder can choose to exercise his rights over the created piece of art, by deriving both monetary benefits for commercial exploitation, either directly or via derived works, continue to be attributed as the Creator of the Work, earn a royalty on the commercial exploitation but most importantly to serve as an encouragement and act as a renewed purpose for continuously creating newer forms of Art. In the Old Analog Days, this Copyright System made a lot of sense. The reason was that, a creator’s definition, differed from what one should have actually been? So, who was a poet? A poet was not one who wrote poems, but one who managed to get his works published. The publisher too was selective enough, because he too was making an investment. So, only the cream got an opportunity to showcase their talent, and in the case of an existing dominant monopoly in any form of Art, Publishers and Producers staked their bet on an already winning horse, rather than experiment with a new one, thereby potentially denying an opportunity to millions of unknown horses. Millions of people may have perished with dreams that never became reality, because the system was such, that many never had an outlet to even express themselves, unlike Today, where any user can have cheap and easy access to Blogging Tools, YouTube, etc. Coming back to Copyright Law, a creator is granted a Copyright for a very reasonable number of 60+ years, and even if he dies in this period, the Copyright passes automatically to his legal heirs. The perspective of a publisher however, is very different. He is just like a businessman. He obtains the necessary rights from the Rights Holder, and has to invest a certain X amount of Money, commercially sell the commodity, make a profit and then also pay a certain Royalty back to the rights holder. This may not make a lot of business sense, infinitely, and in most cases, tends to see a declining curve. For instance, We all know that Chetan Bhagat’s books sell like Hot Cakes, irrespective of whether you like him or not. But, would Chetan Bhagat’s books For e.g ‘Five Point Someone’ sell as many units 60 years from their first publication, For Rupa Publications to make business sense? Would it? It remains to be seen. But one cannot deny that over a period, atleast for a book, its sales units will decline. This decline in Sales, is typically replaced, in the interim period, when the creator releases his next work. Not only does Chetan Bhagat make money off his books, but also from movies, which have adapted his books, for creating the screenplay of their movies. I am not sure, If Chetan Bhagat’s books would still be selling 60 years, from now, but if they would, then he would join a distinguished group of authors like Ruskin Bond, R.K.Narayanan, Khushwanth Singh etc, whose books written half a century ago, continue to stand the test of time. 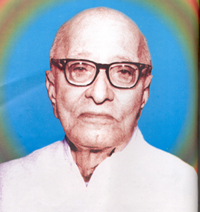 Dikkatra Parvathi was a short story, written by C.Rajagopalachari, Former Chief Minister of TamilNadu. Rajaji is well known today as a statesman, Freedom Fighter, Politician, Nationalist, Writer and fervent supporter of Hinduism. Unlike say R.K.Narayanan, This is his core identification. So, even today, Books that he has written based on these subjects continue to be available. His ‘Mahabharata’ & “Ramayana” continue to be in print even today, almost 60-70 years, since their first publication and are continued to be printed By Bhavans, an organization started by Rajaji himself (?) and which promotes ancient Indian and Hindu culture. Some of his older books which are in the PUBLIC DOMAIN can be found in archive.org. Rajaji also has written a series of short stories, of which ‘Dikkatra Parvathi’ was one. This story along with others, was subsqeuently translated into English and was titled ‘THE FATAL CART AND OTHER STORIES’ by C.RAJAGOPALACHARI. The Translation was done by (? Forgot) and published in the Year 1946, by the Hindustan Times. The year is 1946, which means, that we have still not obtained independence yet. So, how many books were printed in the first edition, remains unknown to me. Over a period of time, the book likely went out of Print, and is unavailable today. 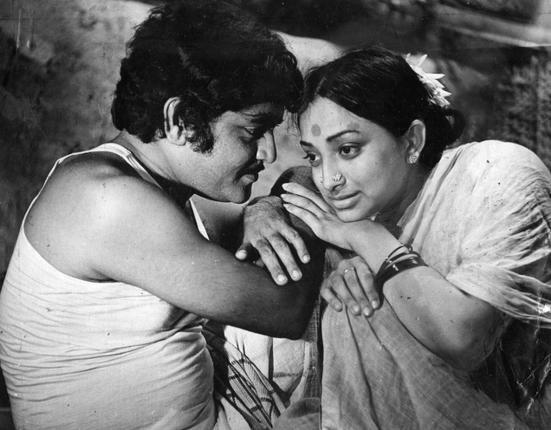 However, in the early 1970s, Director Singeetham Srinivasa Rao, got Rajaji’s permission ( It is said that it was his last signature in an official capacity) to adapt the story into a movie, with a short term loan from the FFC ( The Fore Runner of Today’s NFDC), which is what eventually became ‘Dikkatra Parvathi’. By the time of the Movie’s release, the FFC demanded back its money, which the producers could not pay, so, the movie was bailed out by the then Government of TamilNadu, and the movie got a very limited release. The movie is yet to be launched in DVD format, and to the best of my knowledge, not available to watch even on the Internet. I confirmed with the National Archives of Pune, and they say that a copy is available, but has to be watched in the single seater roomer, at a cost of Rs.100/Film Reel + Some service charges + Rental for the Theatre. The Film Supervisor told me over phone, that depending upon the number of reels, a movie could cost upto Rs.2500 to watch. Absurd, when you can get a permanent ownership of a movie for Rs.50. What is even more disheartening is that as much as i searched, I was unable to find the original Source Book. It is definitely, and multiple Google Searches associated with the word ‘Rajaji’ point to having referred this book. So, surely, a few copies must be around. Well, atleast in the huge traditional libraries, in our cities. Books published, even prior to this one, authored by Rajaji are available, since they are more identifiable with his public personality – Spiritualism, Biographical works, Hinduism etc.. But this one misses the boat.. I am not even sure, if this work is already there in the PUBLIC DOMAIN. It is extremely unlikely that a physical copy of the book, will continue to be published, henceforth. But, I do hope that someone atleast attempts an E-book version.. It will help us understand a lesser known face of the Great Man, Better. This entry was posted in Uncategorized and tagged C.RAJAGOPALACHARI, CHETAN BHAGAT, COPYRIGHT LAW, DIKKATRA PARVATHI, NFAI, R.K.NARAYANAN, SINGEETHAM SRINIVASA RAO on April 1, 2015 by Sugeeth Krishnamoorthy. Hello! I j ust came across this page and am glad to read it. I have had the good fortune of reading and seeing “Dikatra Parvathi”. It will be brilliant to have these books to read to my grand children. Rajaji was a great man, a saint. Hello Mr sastry, it’s rare to find people who have seen such films of the 60s and 70s. I wish to speak with you in person. Can I have your email address so I can get in touch with you? My email address is eschris123@gmail.com. Thanks for the comment.